Both above the level of rationality and below it, there exist for us vital and purposeful areas of psychic activity which are frequently termed "unconscious", not because they are unconscious at their own levels but because the rational mind is unconscious of them. One of the major results to be sought, whether in magical training, in meditation, or for the matter of that in psychotherapy, is to push back the misty boundaries of unconsciousness, both higher and lower. That achieved, the conscious mind is more widely able to recognise the influences which affect it, to understand them and very frequently control them and so is able to take more intelligent responsibility in the life of the person. 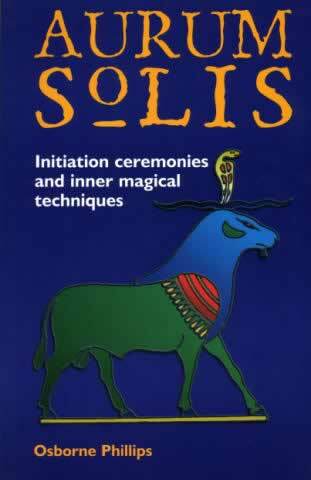 In this book, the keys to this process as employed in the initiatory rites of the Order Aurum Solis are revealed in detail for the first time. These ceremonies of initiation, together with inner magical techniques required for proper performance of the works, are capable of leading the aspirant from the portal of the mysteries to the heights of magical attainment. The structure and consecration of an Aurum Solis temple are likewise presented, together with details of vestments and regalia and the major inner symbolism of the Ogdoadic Tradition of the Western Mysteries is set forth. This significant work, prepared by the Grand Master of the Order, is a full and vital revelation of the outer and inner initiatory technology of the Aurum Solis and stands as a guide to the magical potential and the power of the Ogdoadic Tradition.